Thanks to the ACF community, the #StopAdani Alliance is building momentum to stop Adani's mine and create a pollution-free future for Australia. The momentum is growing, across Australia and the globe. Recently, we faced the full bench of the Federal Court to challenge the government’s approval of Adani’s colossal polluting coal mine. Our legal team did an excellent job – now we await the judgement. In March, we launched the #StopAdani Alliance in Canberra with the leaders of 12 other environmental organisations, vowing to work with our community to build the biggest movement Australia has ever seen and stop the dangerous Adani coal mine in its tracks. Meanwhile, the Queensland Premier and eight mayors from regional Queensland were on an expensive junket to meet Adani in India. So Geoff Cousins and a delegation of prominent Australians crashed their party and made international headlines. 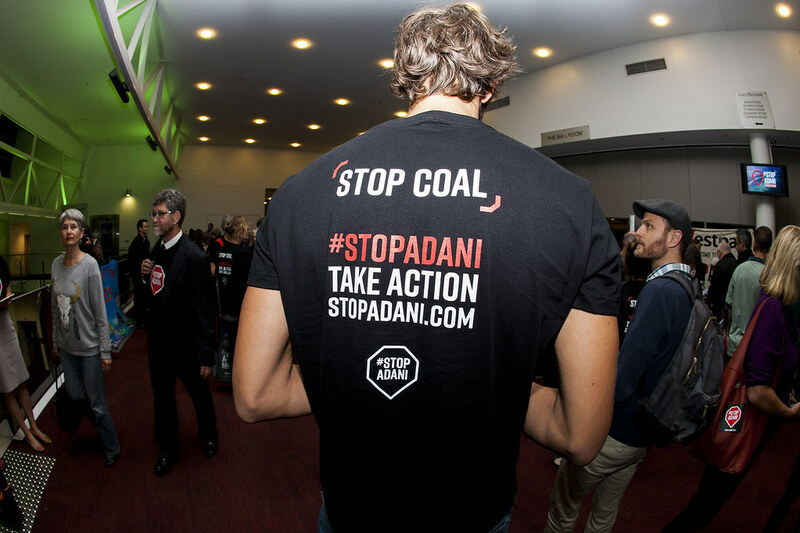 They delivered a message from 90 distinguished Australians including cricketing legends Ian and Greg Chappell, author Tim Winton and musicians Peter Garrett and Missy Higgins to Mr Adani – Australians want clean energy not a dirty new coal mine. We brought together an incredible bunch of people in Brisbane to get them skilled up, fired up and ready to take on the banks and politicians supporting Adani locally. And we travelled up and down the east coast for the sell-out #StopAdani roadshow with the best local and international campaigners. 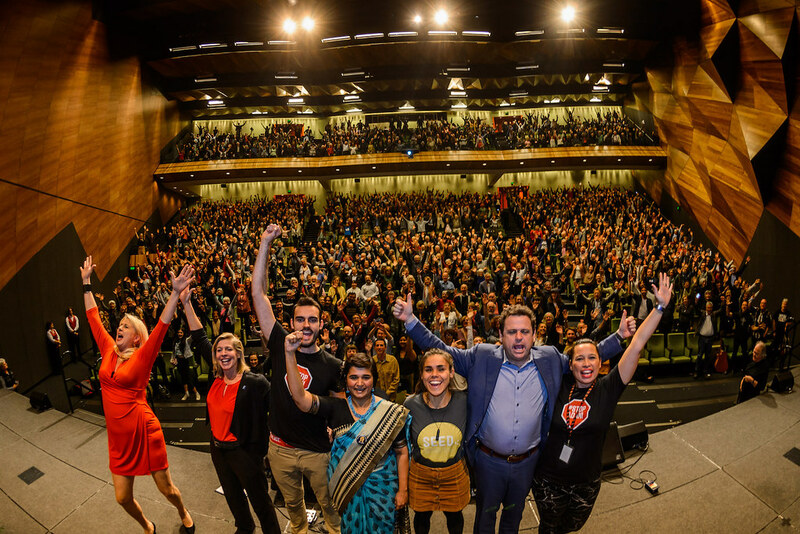 Four thousand people showed up to find out what they can do to stop Adani digging any coal. A brighter, better future, powered by sun, wind and waves, is just around the corner. But it requires a unified movement, determination and most importantly, the support of the ACF community. It's our future that’s at stake and it's up to us to create the change we want to see. Together we're building one of the biggest movements in Australia's history. Can you chip in to stop Adani's dangerous mine from ever being built?